It’s that beautiful time of the year where everything is pumpkin spiced, the crisp autumn air breaks out hoodie weather and the college golf fall season is either wrapping up or moving south. 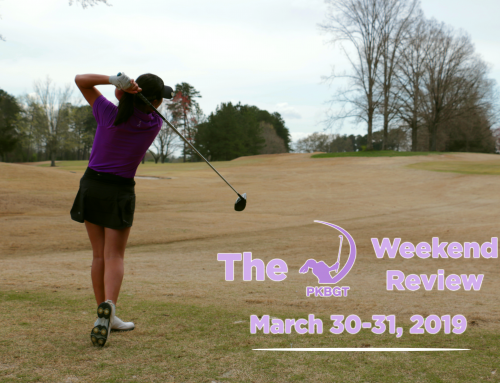 While the college season is winding down, the LPGA Qualifying Tournament is heating up. 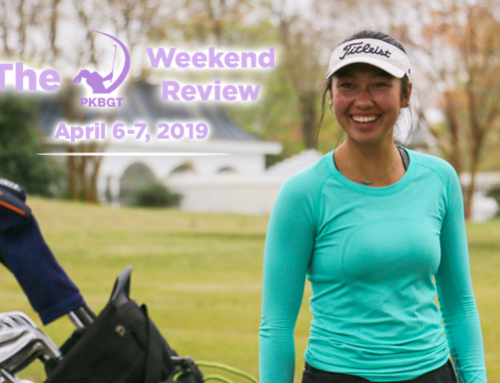 Several PKBGT Alumni fought to advance to the next stage and take one step closer to punching their ticket to LPGA membership. With the 2018 PKBGT Invitational sneaking up, it’s fitting that a former champion brought home individual medal honors in Chapel Hill last weekend. Emilia Migliaccio (Cary, NC 2017) of Wake Forest took the championship with an incredible weekend at UNC. 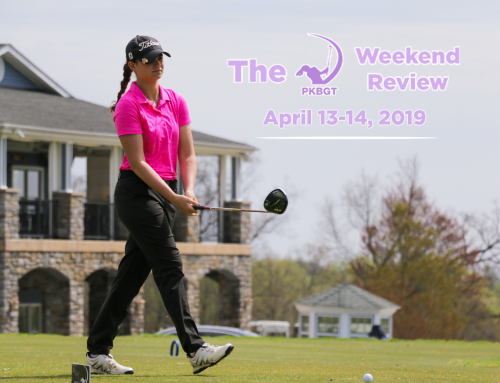 She came out on fire shooting a 67 (-5) and followed it up with two more rounds under par to finish at -11 for the tournament. The largest event of the week in this division featured seven schools with PKBGT Alumni. Finishing in second place was Anna Freeman (Aiken, SC 2017) who stormed out to a two-under first round. She ended at even par and her Anderson University team cracked the national rankings. 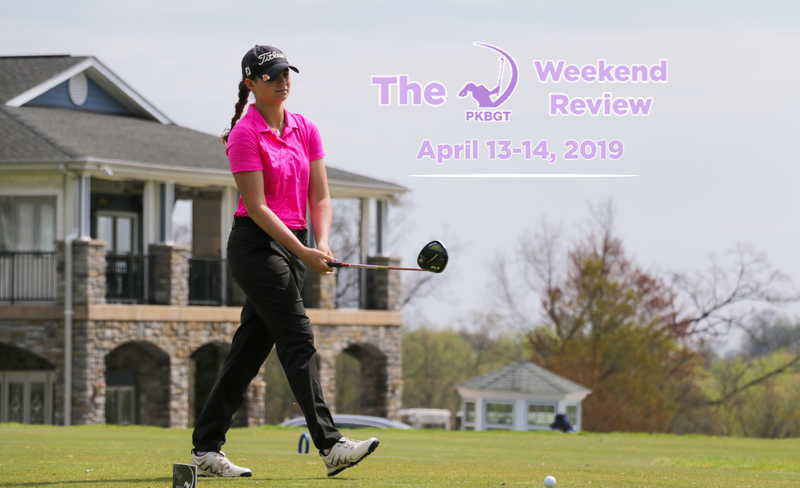 At the Golfweek Invitational, several PKBGT alumni cracked the top ten including Erica Whitehouse (Mechanicsville, VA 2017) of Christopher Newport who finished T2. Emily Salamy (Williamsburg, VA 2015) finished T8 for Rhodes College. At the Revolutionary Collegiate Golf Classic, a pair of freshman PKBGT alumni lead York College to the team championship! 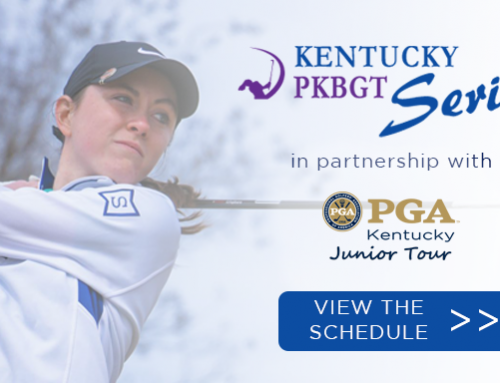 Jordan Koller (Brookeville, MD 2018) finished the event T3 while Anna Moore (Wilmington, NC 2018) finished T10. 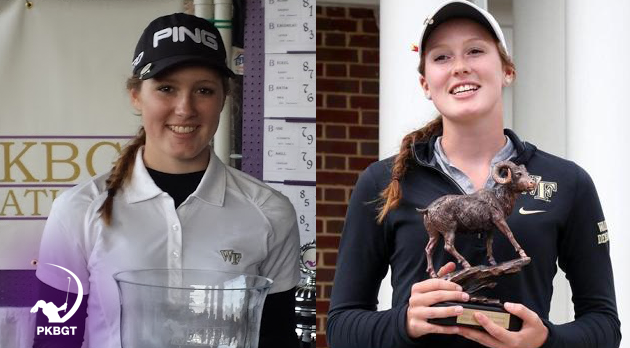 Rounding out our top performances this week is Natalie Hill (Smithfield, NC 2018) who finished T6 at the Mount Vernon Invitational for Shenandoah, and Arisa Kimura (Bethesda, MD 2016) who closed out her fall season for NYU at their Invitational in New York with a T14 finish. 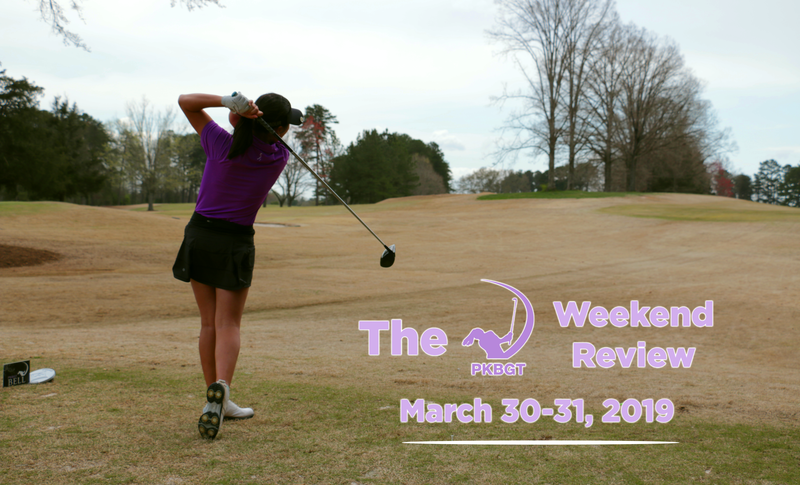 The Symetra Tour’s top players gathered in Venice, Florida this week to compete in the LPGA Qualifying tournament. 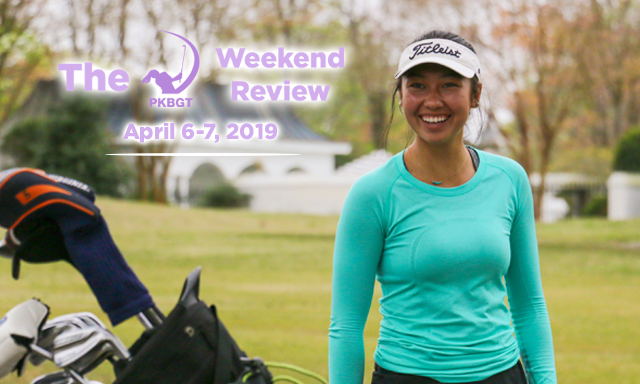 The PKBGT was well represented in a field of nearly 200 golfers, with twelve alumni competing. 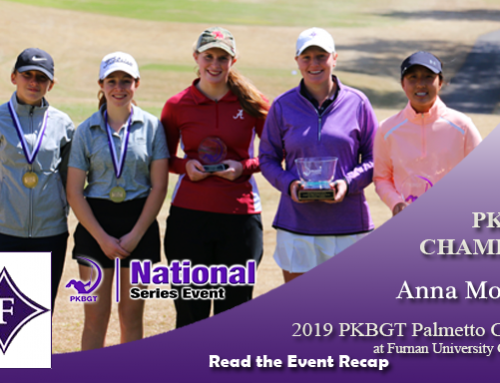 At the end of the four rounds, three of the PKB alumni have punched their ticket to the Q-Series, the final round of qualifying, held at Pinehurst Resort from October 22 to November 3. 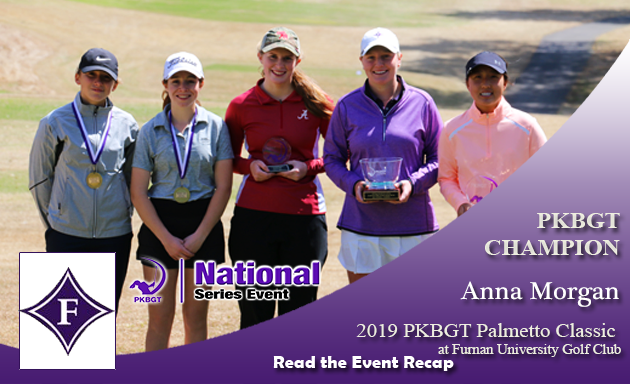 Lauren Coughlin (Chesapeake, VA 2011), amateur Bailey Tardy (Norcross, GA 2015) of the University of Georgia, Laura Wearn (Charlotte, NC 2009) and Allison Emery (Charlotte, NC 2011) finished in the top 25 and will represent the PKBGT at Pinehurst. 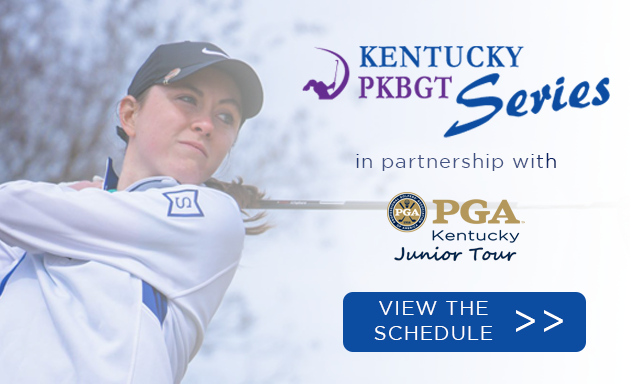 The top 45 finishers and ties at Q-Series will receive LPGA membership for the 2019 season!